Using PubMed (Kyushu University version), Kyushu University members can get academic research papers smoothly! This guide does not introduce how to use PubMed. For example, how to use the filter; how to use MeSH; or how to use the advanced search, etc? 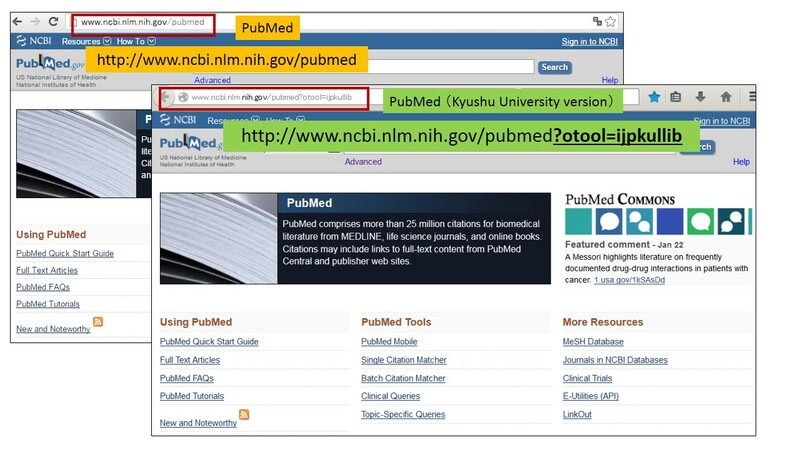 If you want to know the details regarding how to use PubMed, then please refer to ”Helpful websites”. What is PubMed （Kyushu University version）? Do you use GOOGLE when you access PubMed ? ※This service is for Kyushu University members only. ※If you want to access PubMed from outside the campus, you need to use your SSO-KID number. 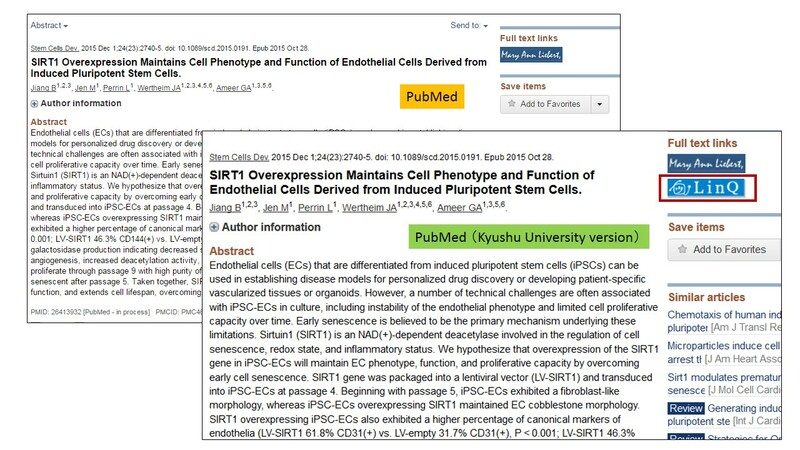 Using PubMed (Kyushu University version) will allow you to see contents that our institution has a license to access. With just one click on this blue icon(Cute LinQ), you can select the journal that you want to read. If Kyushu University has electric journals, then you can download a full text as a PDF file. If you cannot find a specific article, then this blue icon will lead you to the Kyushu University collection (library catalogue) or give instructions regarding how to make of copy of the text in question of explain how to order a copy of the text.